A wine in transit this one, still very much coming together in the bottle. Hand picked, whole bunch pressed, barrel fermented (1/3 new oak) and nine months in oak with battonage but no malo. A serious regional style if ever there was one just in need of some down time. 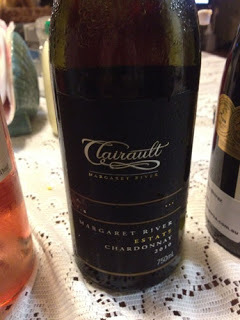 It’s a mealy, rich and oak drawn wine this one, carrying that melon fruit fullness of Margaret River Chardonnay if just a bit tropical and overt. Texturally it’s nutty, mealy and full, the oak sitting on top of the fruit a fraction a but with this white peach, figgy palate that is pure Margaret River. It’s just a little raw but the length, acid and flavour depth are assured. In fact it’s almost got too much flavour and looks a bit bit blobby at times, though they seem to be fleeting moments.